The metropolitan region, situated on the southern shore of Lake Ontario, is also part of New York’s breathtaking Finger Lakes region. 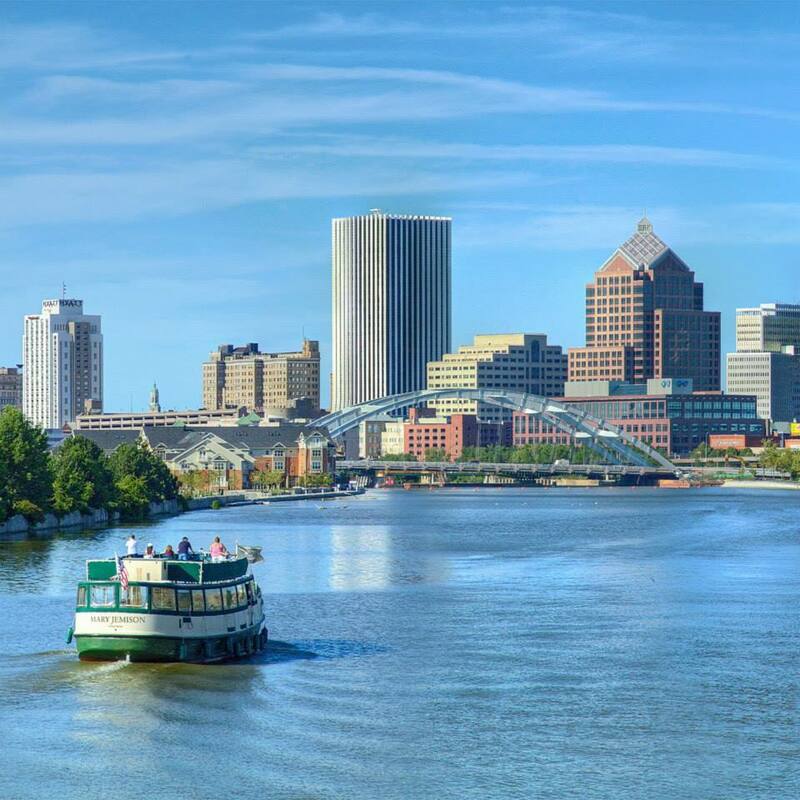 Known for its vast selection of family-oriented activities and attractions, Rochester hosts nearly two million visitors each year. The third largest city in New York State, the greater Rochester region is inhabited by a little more than one million people. Conveniently located, Rochester is a 6-hour drive from New York City, 3.5 hours from Toronto and 90 minutes from Niagara Falls. Rochester sits at the center of 100 Must-See Miles of the Erie Canal which when opened in 1825, made Rochester the country’s first “boomtown.” Today, the historic canal thrives as an active recreational waterway with towpaths, shops and charming towns telling America’s story of “how the west began!” Rochester is home to two national historic landmarks open to the public, the National Susan B. Anthony Museum & House and George Eastman House International Museum of Photography and Film. Adults and children are entertained in the second largest children’s museum in the U.S., at the National Museum of Play at The Strong, also home to the National Toy Hall of Fame. Click on the icons on the interactive map to learn more about each venue/activity.